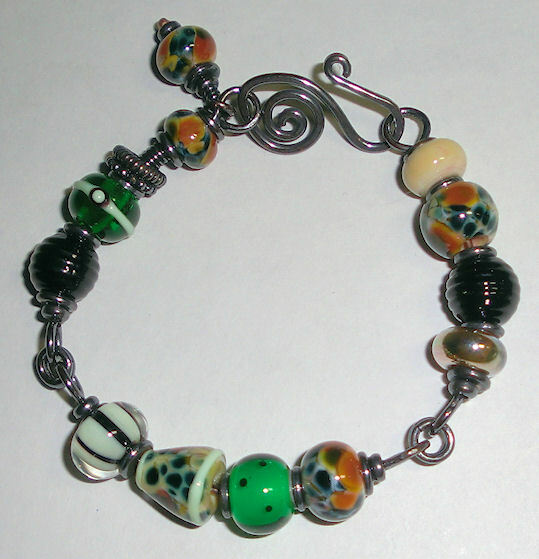 I got a chance to make more bracelets. 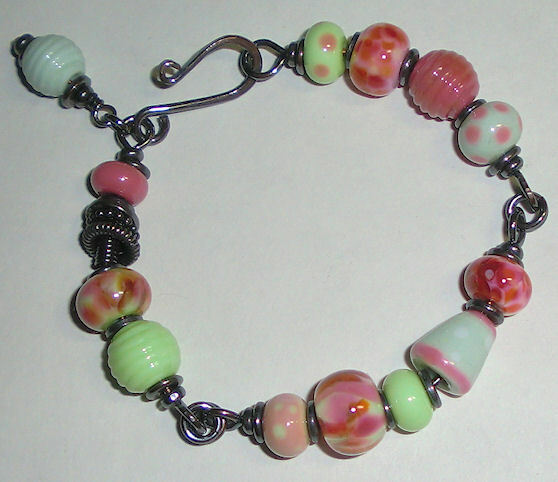 I was using frit on the big hole beads are really liked it so I decided to use some on these smaller beads. I really like the color line on this one. The pastel greens really work with the pink. Might have to do more of these. Course, I might be the only one that likes pink so much. This one didn’t work out as planned. I made the frit beads and thought I was going to get some nice green and pink colors. Boy, was I surprised when I opened the kiln. Actually these were supposed to go into the first bracelet. 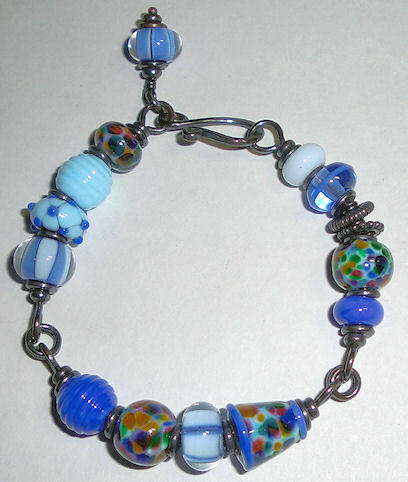 I had to make more frit bead for that bracelet. Then I had these. I decided to combined them with some other green and opal yellow beads. There’s also one silver glass spacer in the mix too. on November 12, 2012 at 8:19 pm Comments Off on Bracelets! !